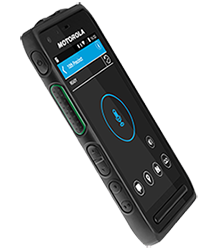 These new products in public safety communications will be showcased in the exhibit hall. AMP Global Connect, an IP Virtual Control Head system providing remote control of your two-way radios over a LAN, WAN or Internet. 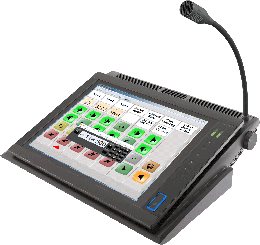 Mix and match, brands, technology, types of radios, phones and intercoms. Allowing multiple users to share one radio or one user can operate many radios. Providing Connections Everywhere! 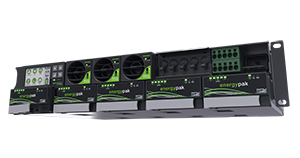 energyhub is a rack-based complete power solution used to streamline infrastructure footprint, increase energy efficiency, maintain high availability, scale backup and reduce costs to keep pace with data demands. The new LEX L11 Mission Critical LTE Device is designed with first responders in mind. Every feature and function is thoughtfully considered, from the rugged, easy to operate design to the loud and clear audio and the advanced end-to-end secure mobile platform. Durable yet slim, you can always count on the LEX L11 to perform. 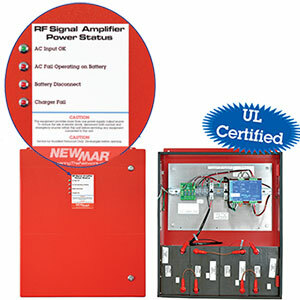 UL certified PE Series Power Enclosures for NFPA compliant battery back-up power for public safety/BDA in-building coverage are available in 12, 24 and 48V DC, 18 – 272 watt configurations, in a NEMA-4 enclosure with NFPA 1221 compliant alarms and front door indicator lights meeting UL standards. 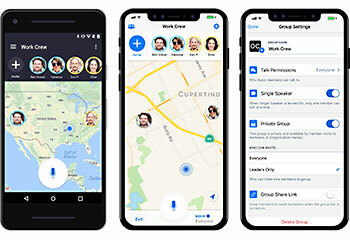 Orion’s AppTalk provides reliable, real-time, push-to-talk application that offers secure voice communications for teams of any size in any location. AppTalk is enabled with GPS tracking, translation services, and voice powered bots and workflow integrations that allow your teams to stay in sync and productive across any distance. The DASassure ® SAFE-1000 Public Safety Fiber DAS delivers the highest fidelity signal, highest wall plug efficiency, at a low-cost. Plug and play card, high efficiency power amplifiers, and modular configuration design delivers well proven public safety networking grade architecture of high reliability and network resiliency. Supports all public safety bands, VHF, UHF, 700, 800 and 900 MHz. 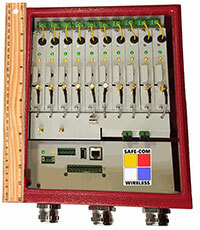 NFPA compliance, all fiber topologies, built-in spectrum analyzer, and smallest size enclosures. Connect 4-wire analog radio and dry contacts across Layer 2 or Layer 3 Ethernet networks. 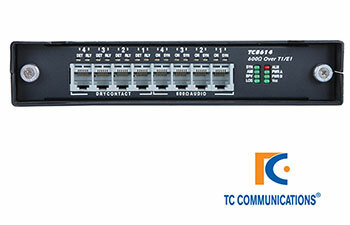 Featuring minimal latency, the TC3846-6 supports Guard Tone and Pilot Tone operation on an uncompressed 64kbps channel. Works with popular Voting Comparators and supports simulcast. 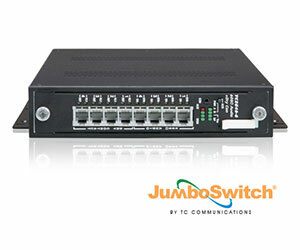 Part of the JumboSwitch family. Part of the Mini Channel Bank series, the TC8614 is a plug and play 4-wire (or 2-wire) Analog Radio & Dry Contact over T1 Multiplexer. Featuring minimal latency and ESF Framing Support. It’s a channel bank without the lengthy setup. Each device equipped with the R2 troubleshooting button. Telewave new digital wattmeter represents the latest generation of wattmeter technology addressing the more demanding requirements associated with digital modulations and protocols. 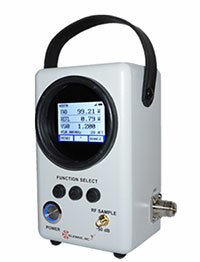 It supports frequency range 30 – 1000 MHZ, bidirectional power 1 – 500 Watts, accuracy -+3%, USB & WIFI connectivity for remote monitoring.